ITTA BENA, Miss. 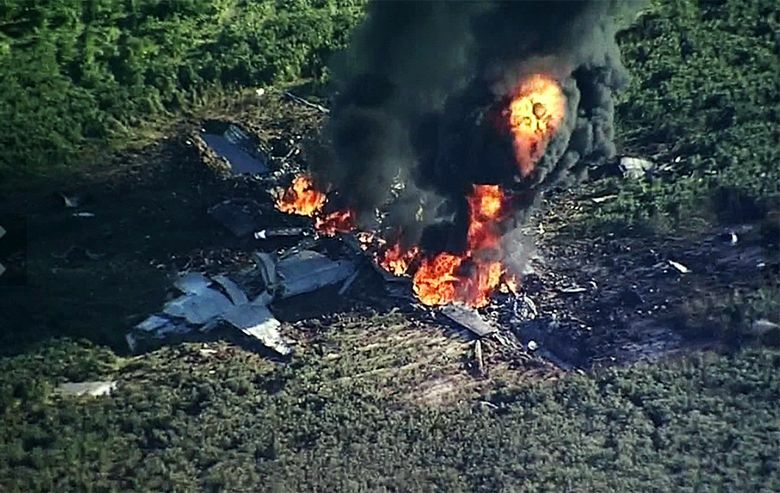 (AP) — Investigators picked through debris across a fire-blackened soybean field Tuesday to try to determine why a U.S. military plane slammed into the ground, killing all 16 people aboard in the deadliest Marine crash anywhere in the world in more than a decade. 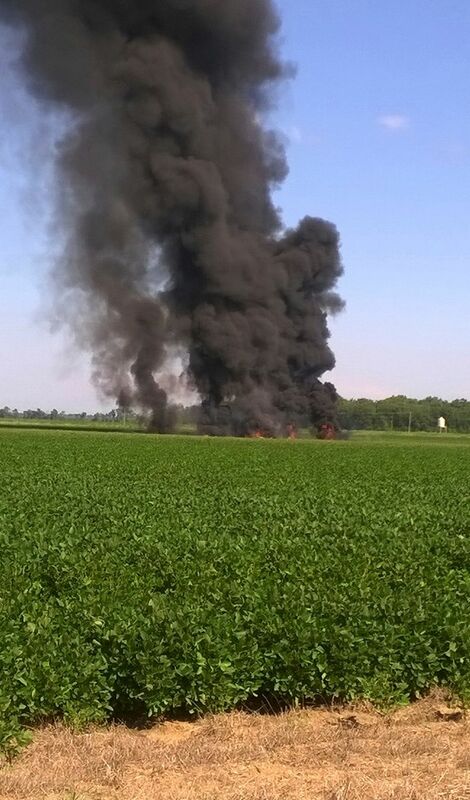 The KC-130 air tanker was carrying members of an elite Marine special operations unit cross-country for training in Arizona when it went down Monday afternoon in the Mississippi Delta, the military said. 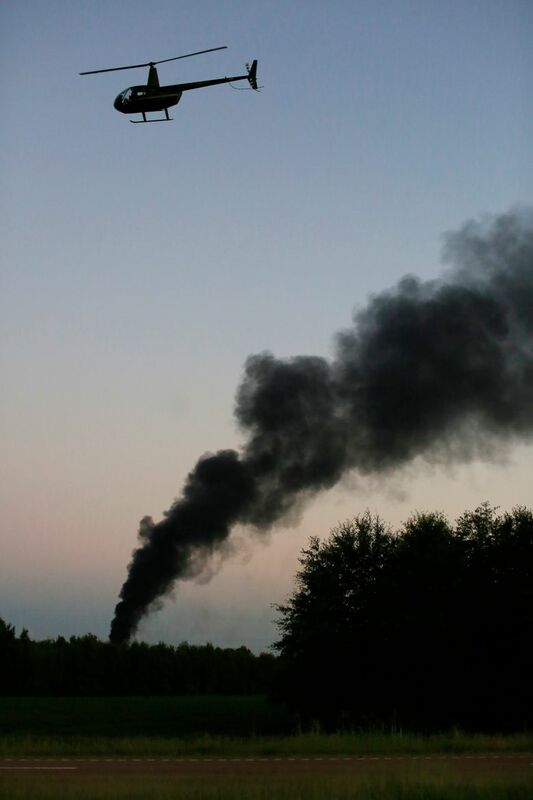 The fiery crash scattered wreckage for miles around and sent a pillar of black smoke rising over the countryside. 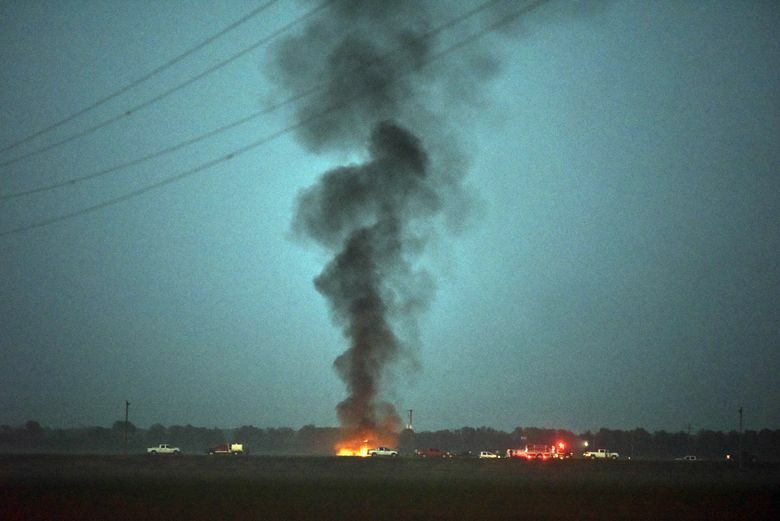 Witnesses said they heard low, rumbling explosions when the plane was still high in the sky, saw the aircraft spiraling toward the flat, green landscape and spotted an apparently empty parachute floating toward the earth. Fifteen Marines and a Navy sailor were killed. Their identities were not immediately released. 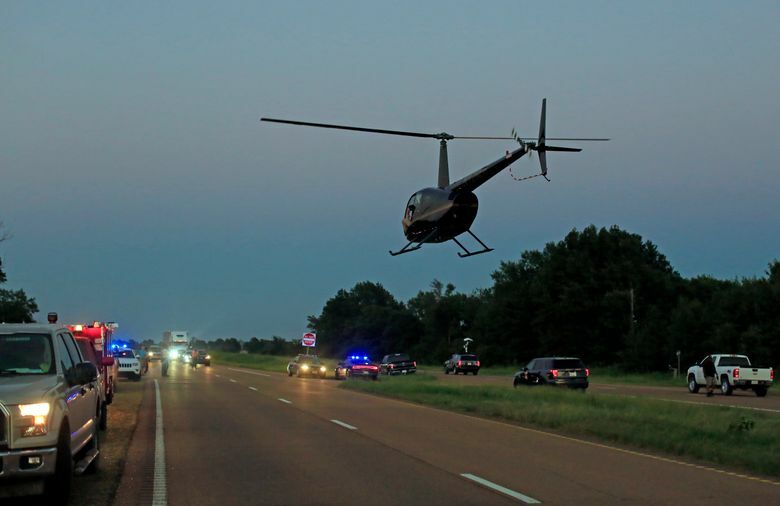 The crash happened outside the small town of Itta Bena, about 85 miles (135 kilometers) north of the state capital of Jackson. Bodies were found more than a mile from the plane. FBI agents joined military investigators, though Marine Maj. Andrew Aranda told reporters that no foul play was suspected. “They are looking at the debris and will be collecting information off of that to figure out what happened,” Aranda said. The county coroner, meanwhile, brought in body bags to remove the dead. 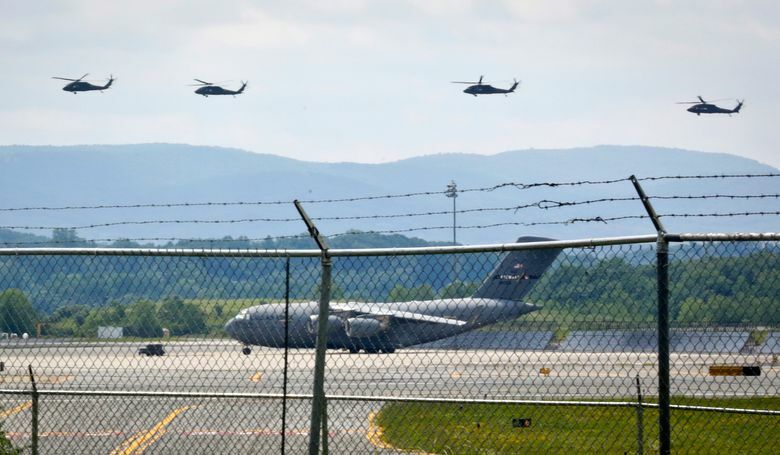 The plane was based at Stewart Air National Guard Base in Newburgh, New York, and officials said some of those killed were from the base. Several bouquets were left at the main gate at Stewart, which was closed to reporters and issued no immediate statement. Six of the Marines and the sailor were from an elite Marine Raider battalion at Camp Lejeune, North Carolina, the Marine Corps said. It said the seven and their equipment were headed for pre-deployment training at Yuma, Arizona. The Marine Raiders are a special operations force that is part of the global fight against terrorism. They carry out raids against insurgents and terrorists, conduct deep reconnaissance and train foreign militaries. 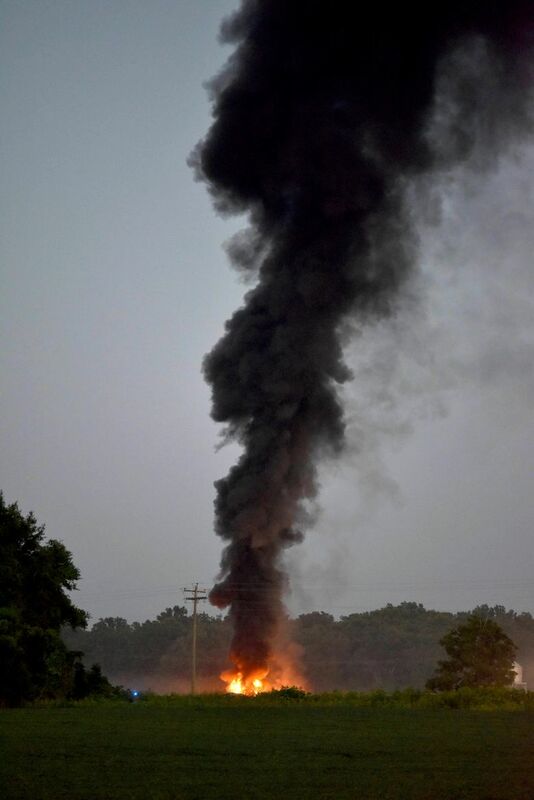 Will Nobile, a catfish farmer, said he was inside his office Monday afternoon when he heard an unusually loud rumble in the sky. He walked outside to see what was making the noise in the cloudless afternoon and saw a “gray streak” disappear behind some trees, and then black smoke rising. 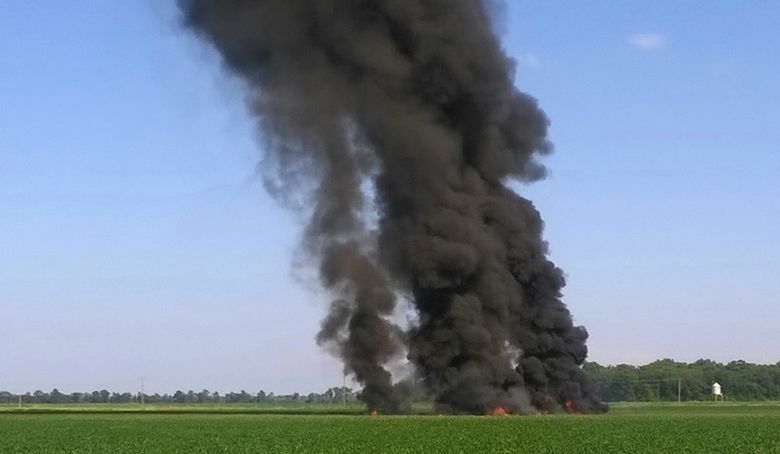 Andy Jones said he was working on his family’s catfish farm just before 4 p.m. when he heard a boom and looked up to see the plane spiraling downward with one engine smoking. “Beans are about waist-high, and there wasn’t much sticking out above the beans,” he said. Jones said a man borrowed his cellphone to report to authorities that there were bodies across a highway, more than a mile away. 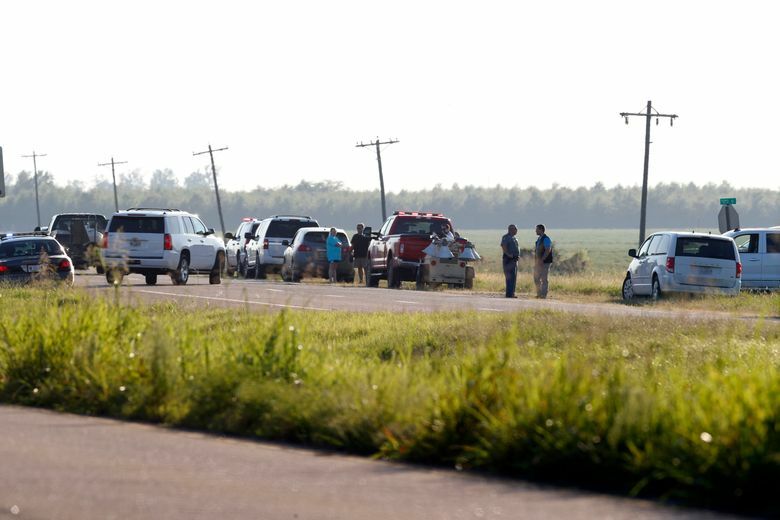 Nobile said he drove to the site and as he and others stood by a highway, they saw an open parachute wafting down from the sky: “It didn’t look like anybody was in it.” Another catfish farmer found an empty, open parachute later near a fish pond, Nobile said. Greenwood Fire Chief Marcus Banks told the Greenwood Commonwealth that debris was scattered in a radius of about 5 miles (8 kilometers). Jones said firefighters tried to put out the blaze but were forced back by an explosion. 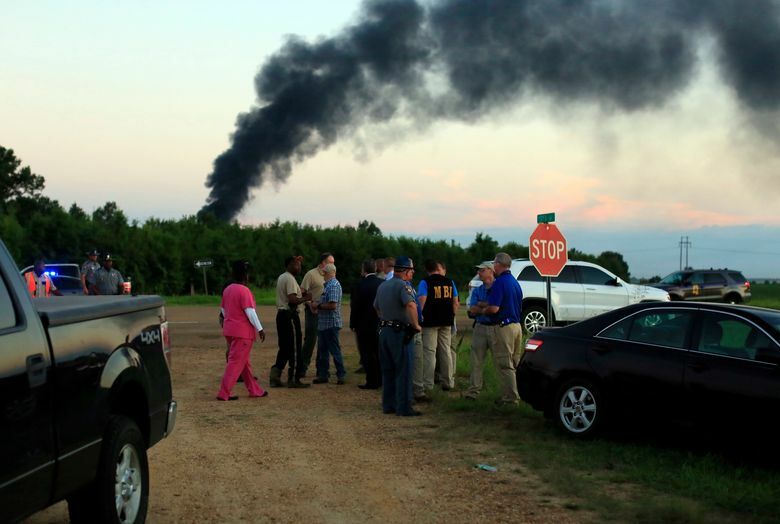 The Marines said the plane was carrying personal weapons and small-arms ammunition — equipment that may have contributed to the explosion and the popping that could be heard as the wreckage burned. Pettus and Jeff Amy reported from Jackson, Mississippi.